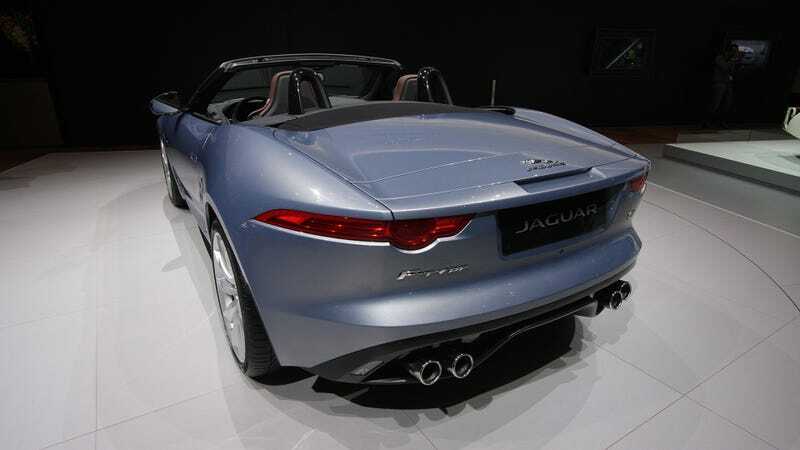 Jaguar brought both the supercharged V6 and V8 versions of their new F-Type to the Geneva Motor Show, and I couldn't resist jumping into one of them. They are just as beautiful in the flesh as you image from the pictures. The only problem is that after getting comfortable inside, I had to realize it actually bores me. Then I thought about it, and it turns out that's okay. You see, the engine wasn't running, which is a handicap. I'm also a 26-year-old writer who listens to the White Stripes, so I'm not really a part of their target market. With the F-Type's price tag climbing much higher than previously expected, this is car for well established blokes closer to forty than to thirty at best. And they are going to love it.